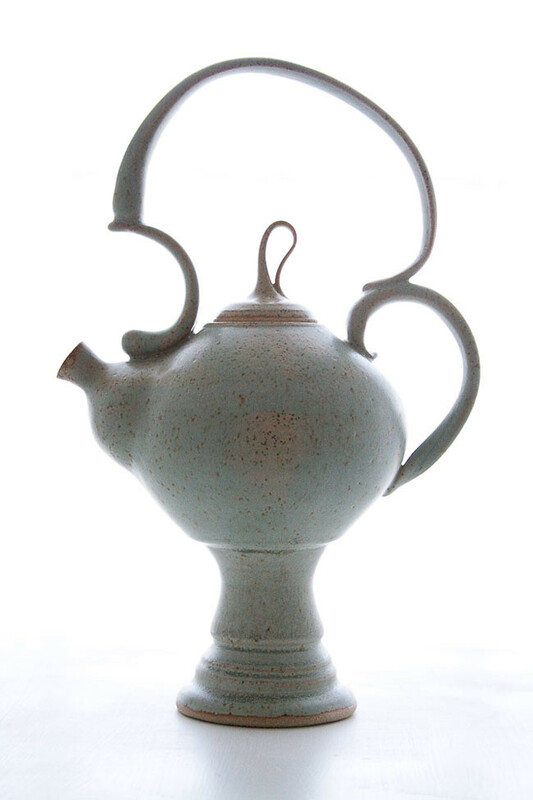 Our featured Indie Craft Parade artist of the week is Illyria Pottery! Illyria Pottery is run by the lovely and talented Katie, who enjoys the impressionable nature of clay. 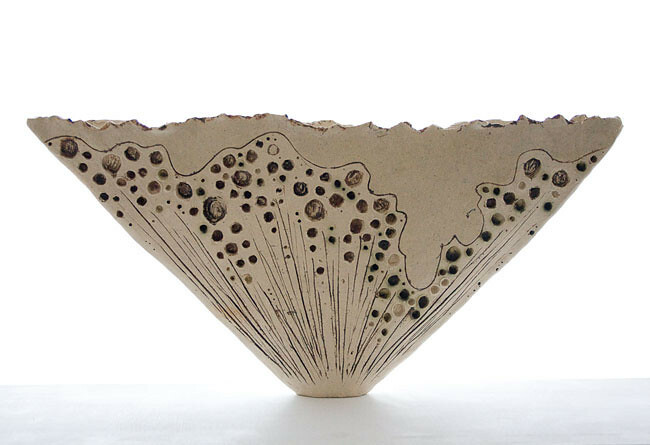 She works many textures into her fine art pottery, mostly from the earth... a tiny shell impressed somewhere on the body, or the imprint of a bit of coral. Her elegant pieces serve as functional sculpture. Many of works have a utilitarian purpose, but have forms and surface decorations for the eye. Katie creates everything from buttons to teapots and pendants to vases. 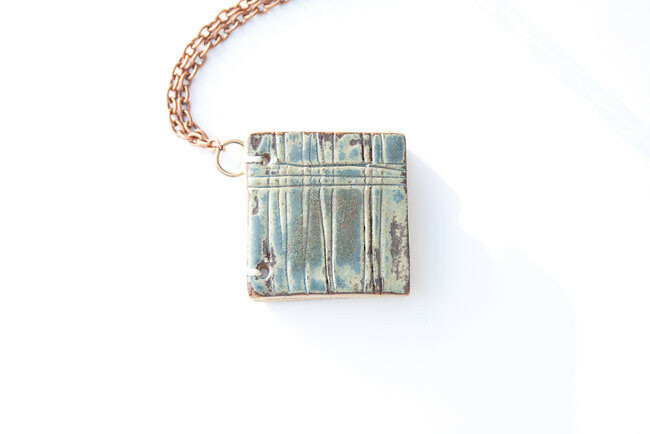 Her new line of "booklaces" are a tiny journals with a ceramic covers, intended for wear around your neck. I love the delicate nature she brings to this medium, and the creativity of her forms. 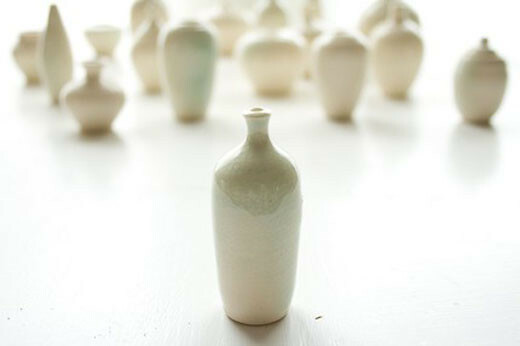 Katie will be doing a live demonstration of wheel-thrown pottery on Saturday, Sept 11 that you won't want to miss! Check out Illyia Pottery, and shop here and here. Don't forget to save your pennies for Indie Craft Parade!